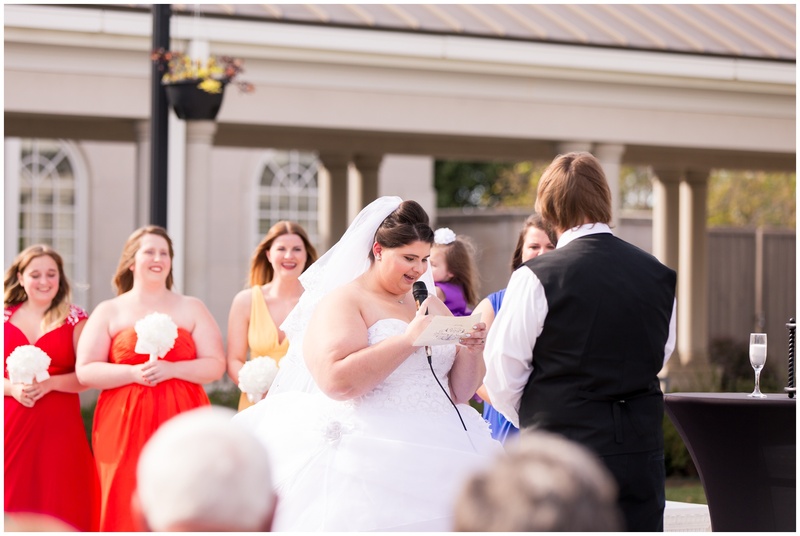 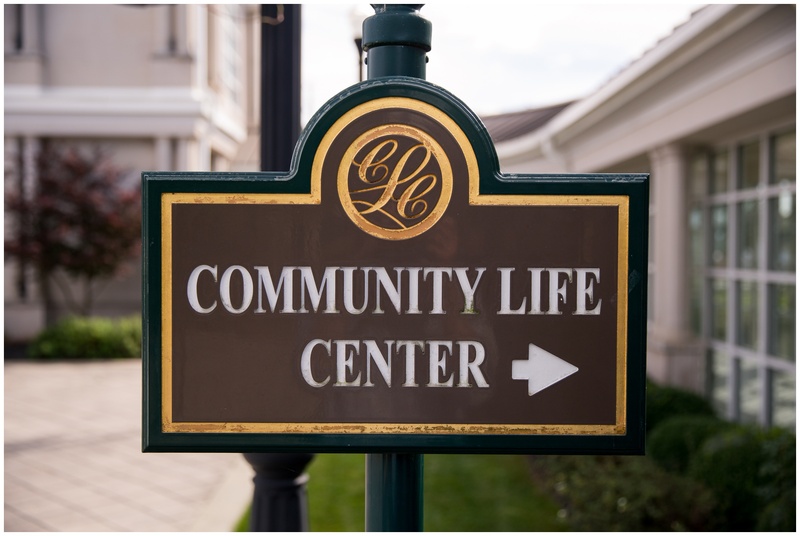 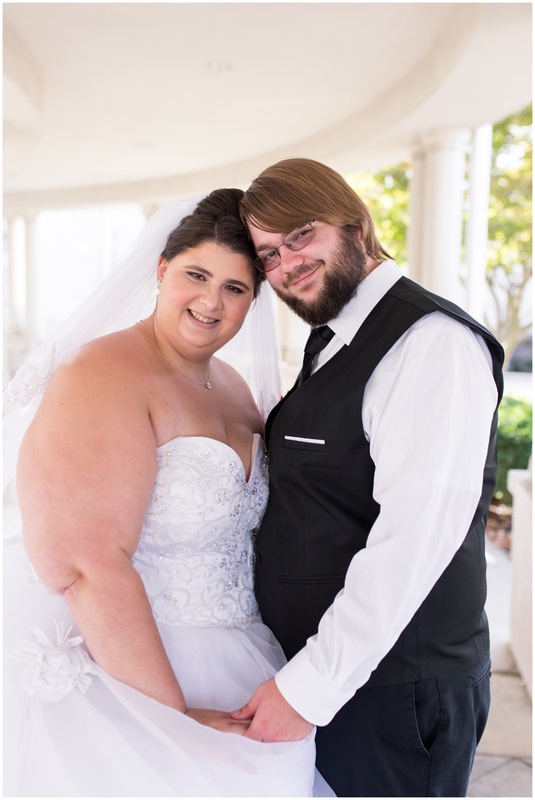 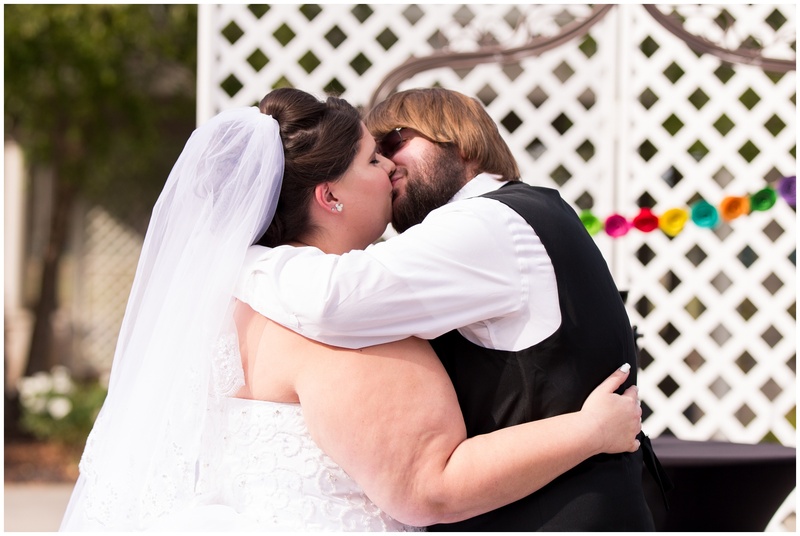 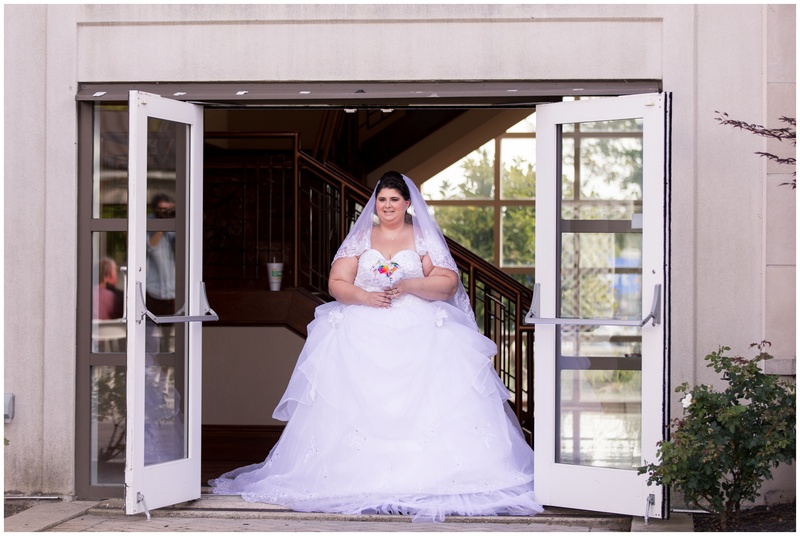 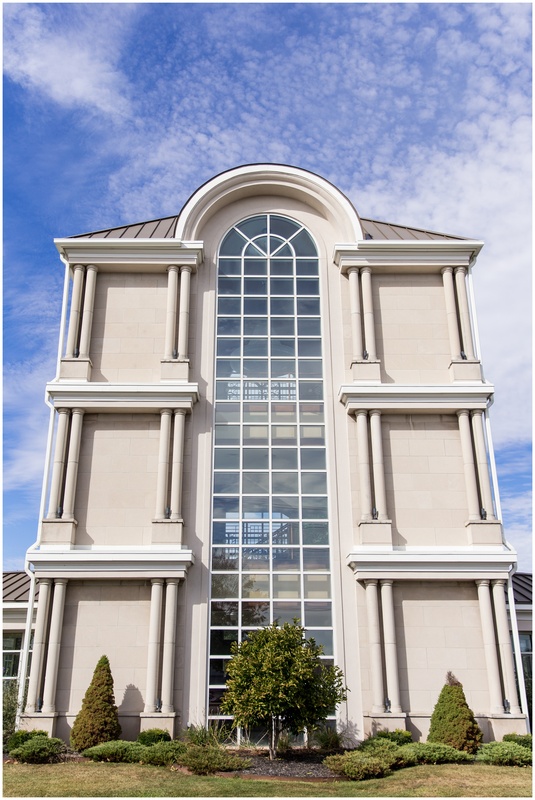 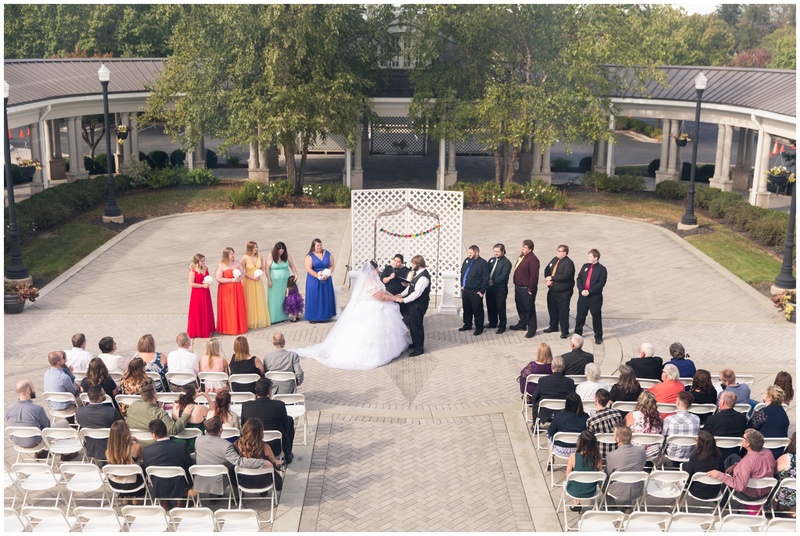 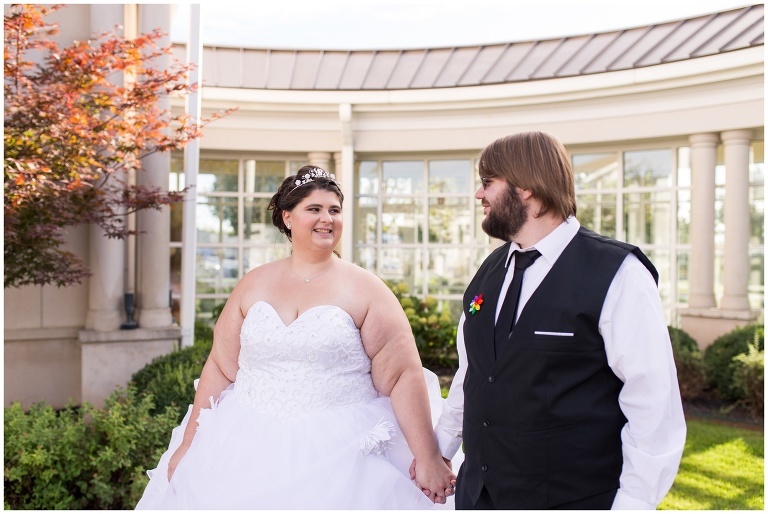 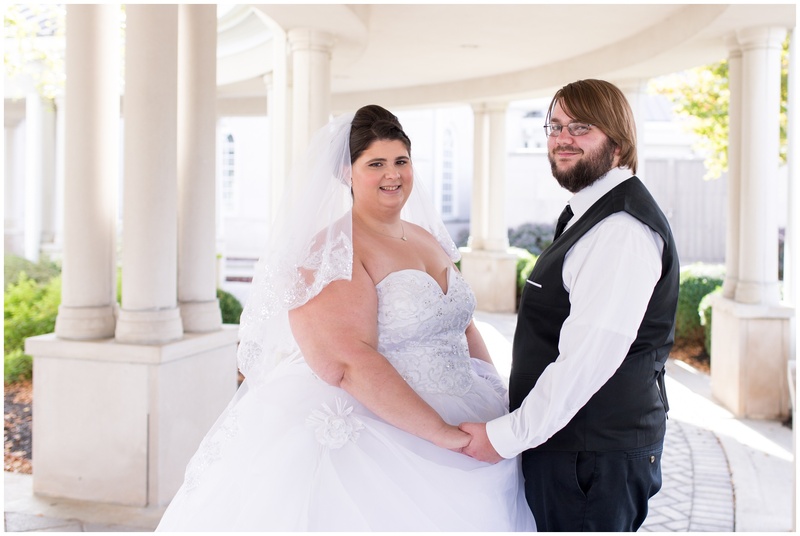 After meeting nearly five years ago, Megan and Zach’s love story started a new chapter with their beautiful Community Life Center Indianapolis wedding, on a perfect Sunday this fall. 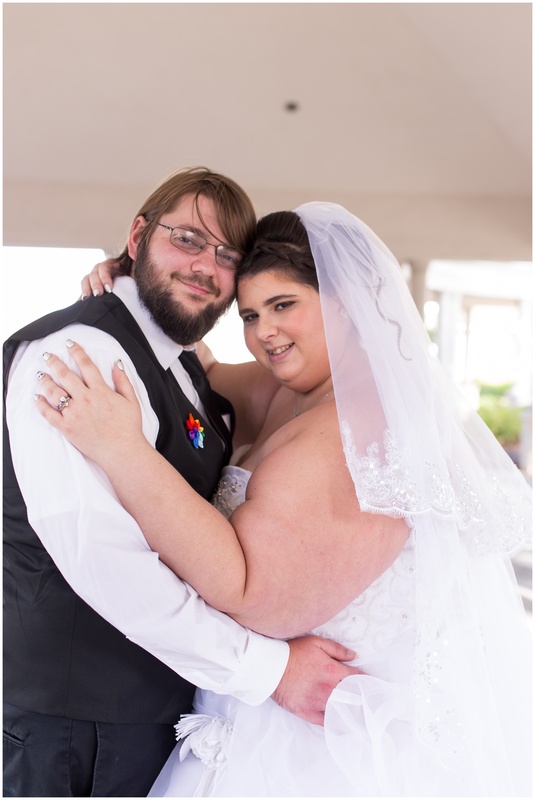 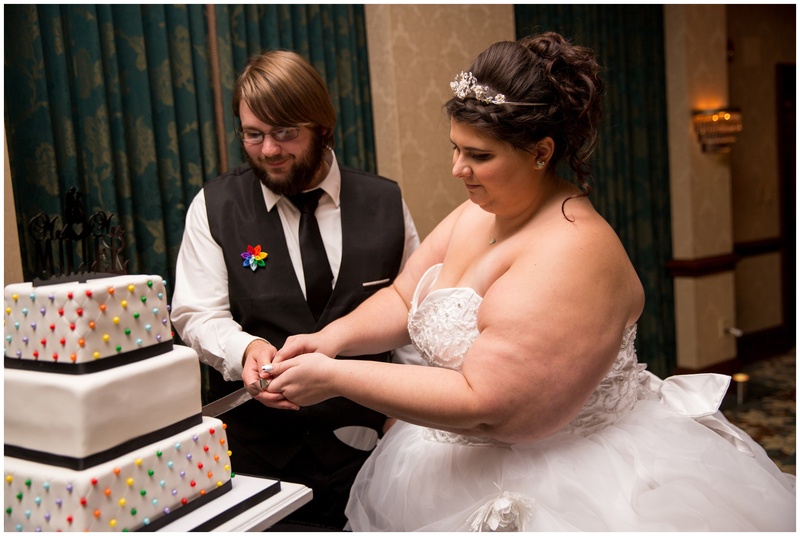 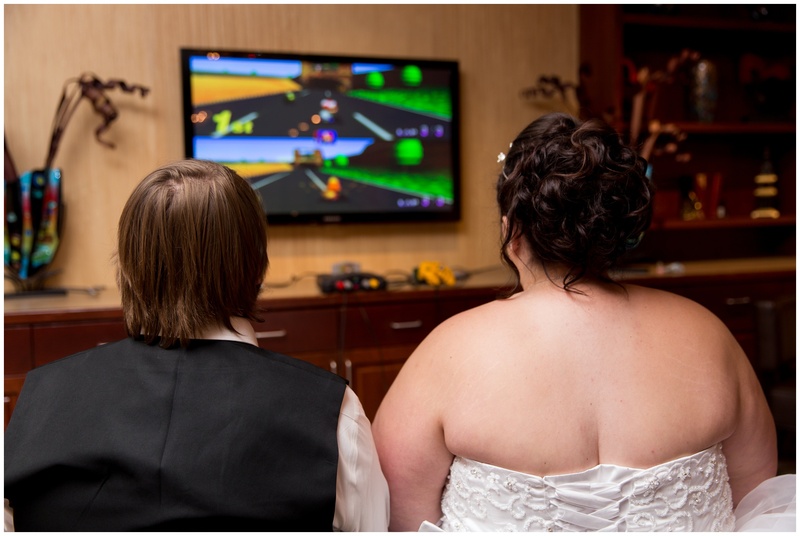 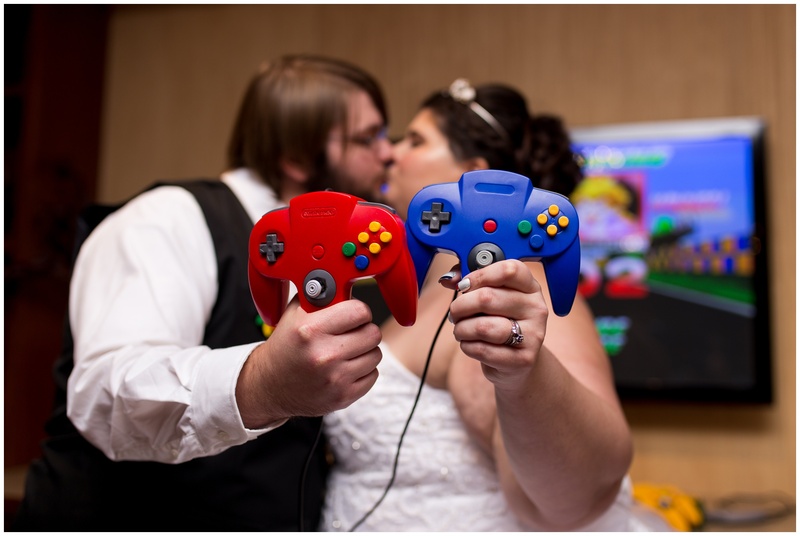 They first met through an online dating website, and their first date was the perfect start to their relationship, where they played Mario Kart and talked all night long. 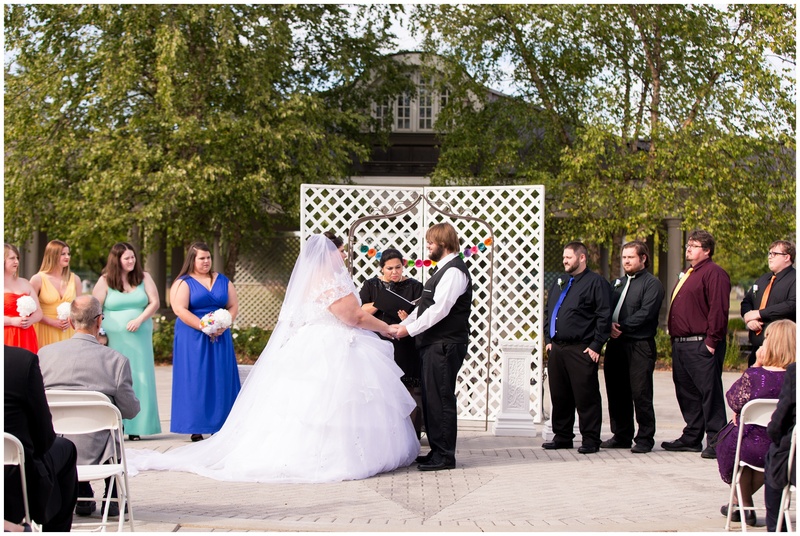 On a trip to Disney World, Zach proposed and asked Megan to be his queen for life. 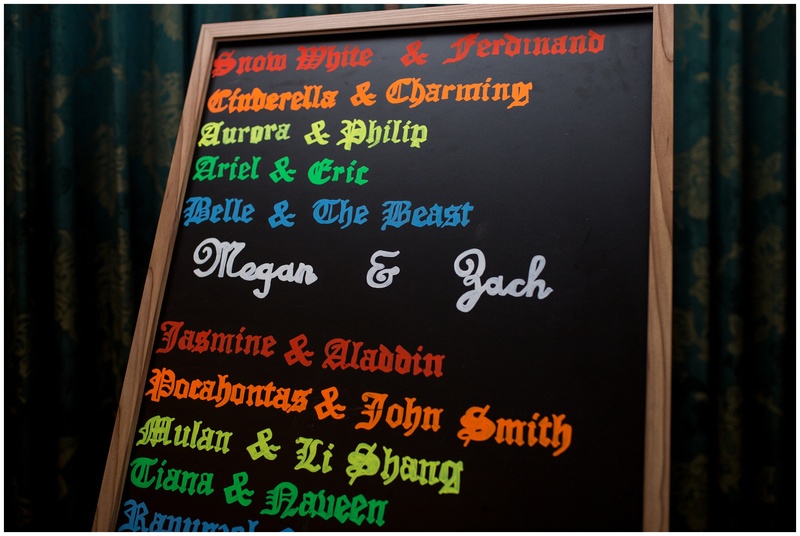 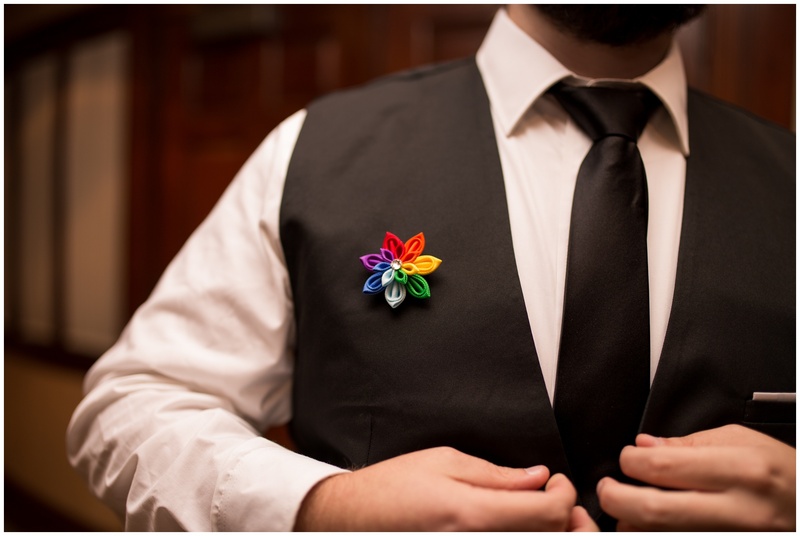 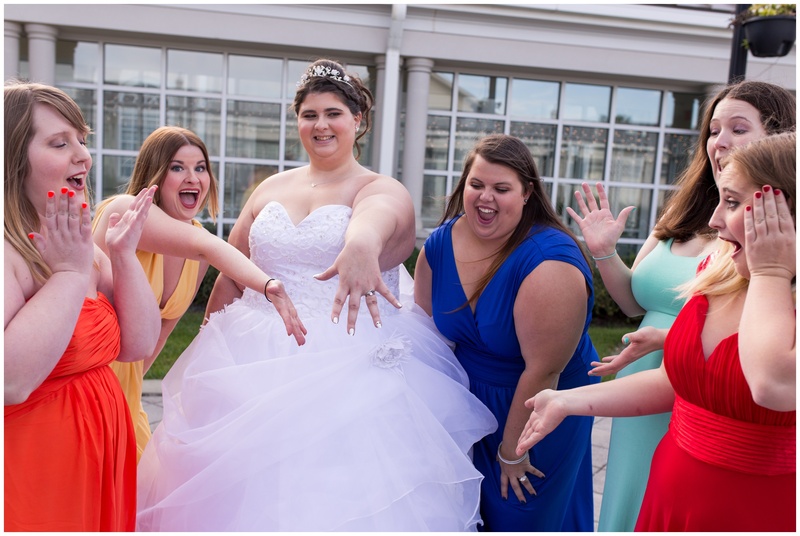 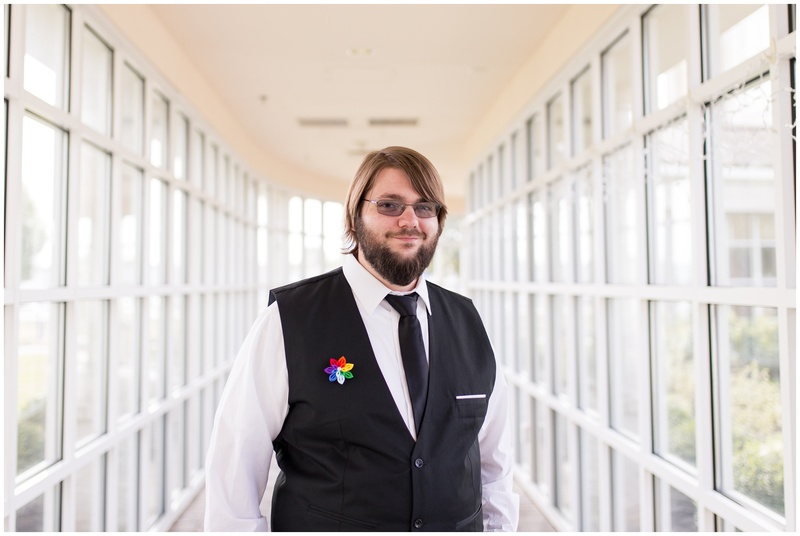 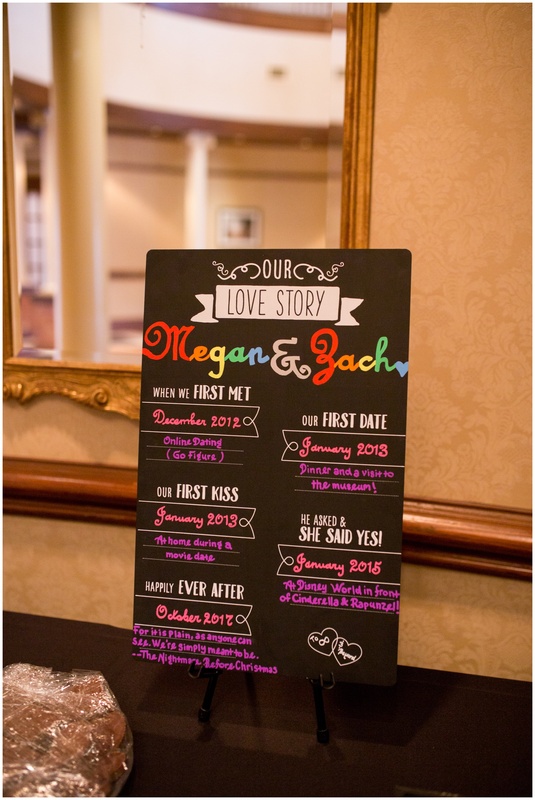 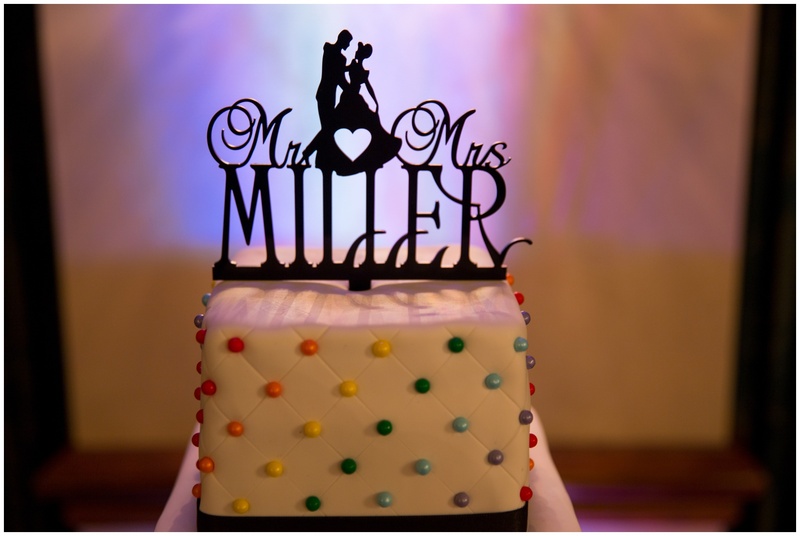 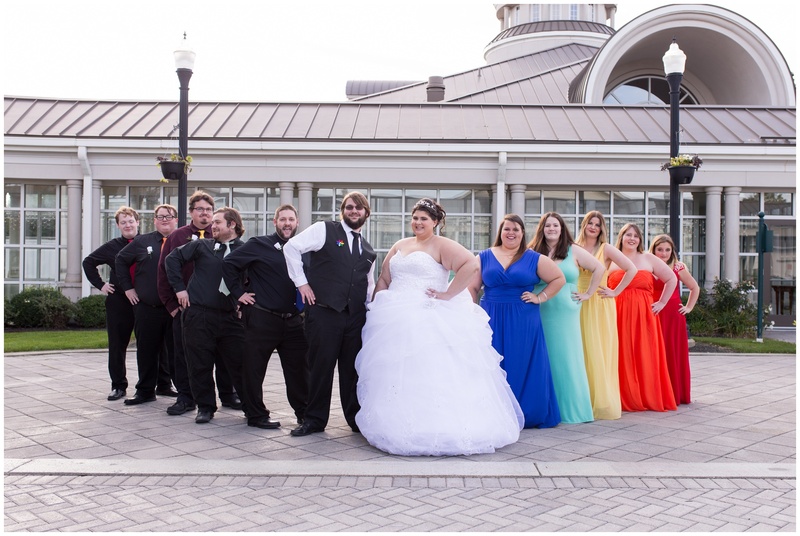 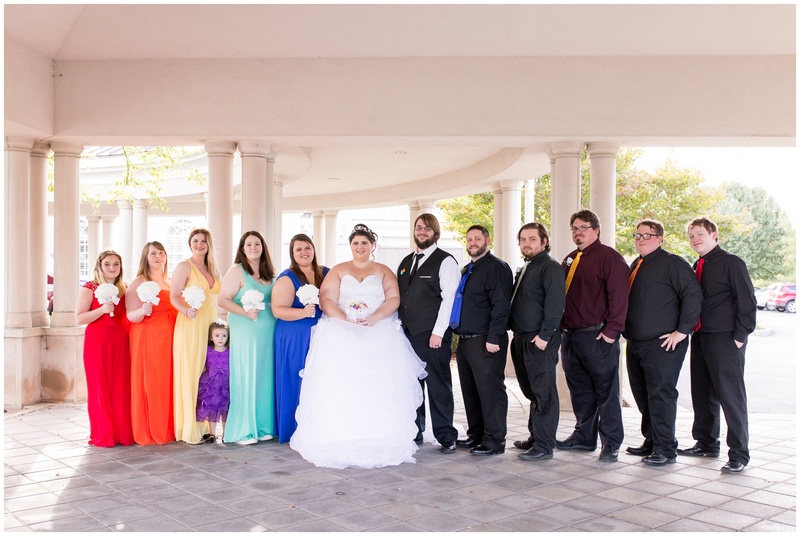 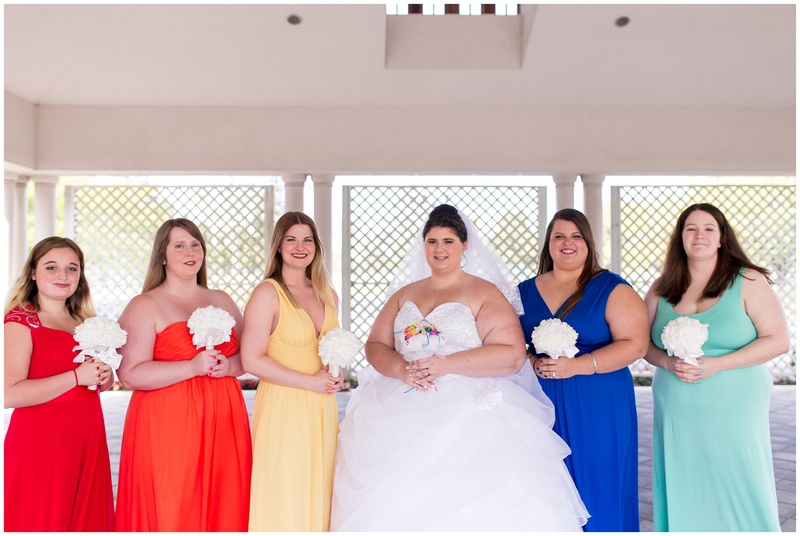 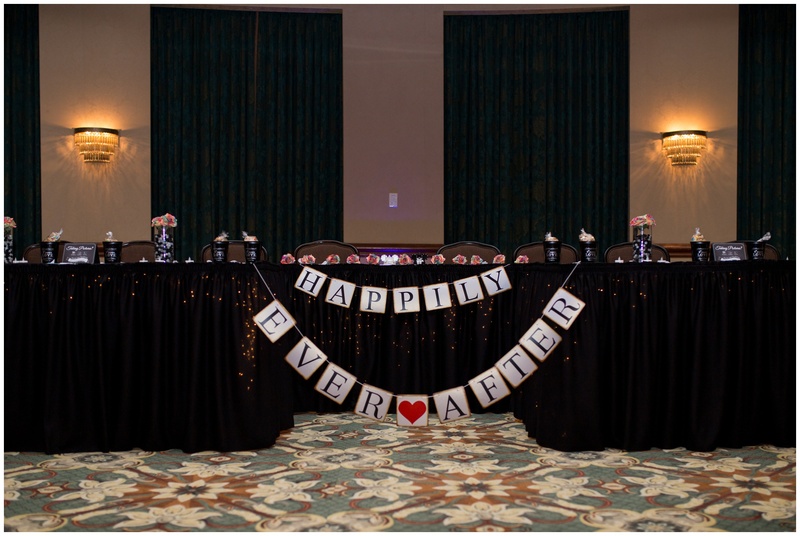 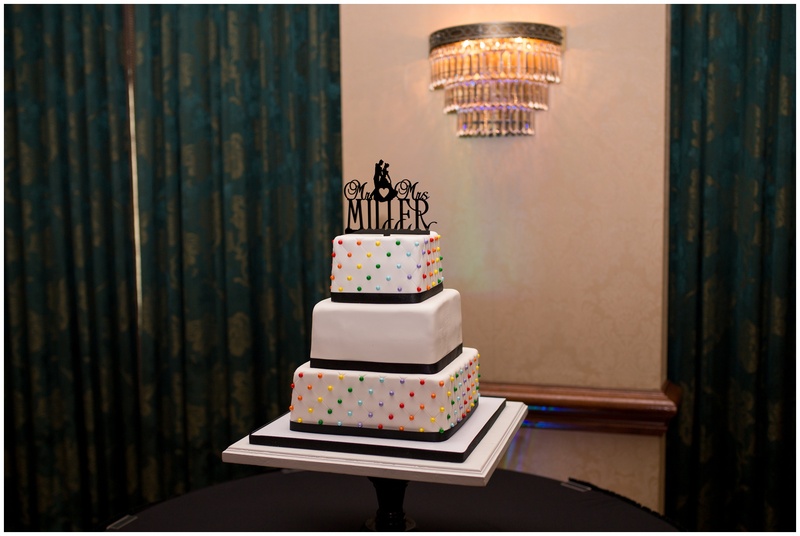 I love that they incorporated both Mario Kart and Disney into their wedding day, along with all the fantastic rainbow colors – Megan’s favorite color – throughout their decor. 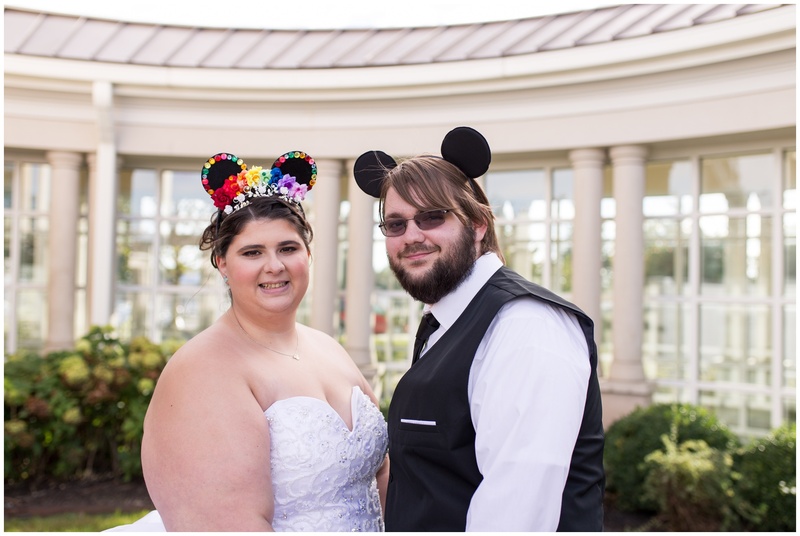 With her love for Disney, she even planned the most beautiful Beauty and the Beast engagement session that we shot last fall at the Indianapolis Museum of Art. 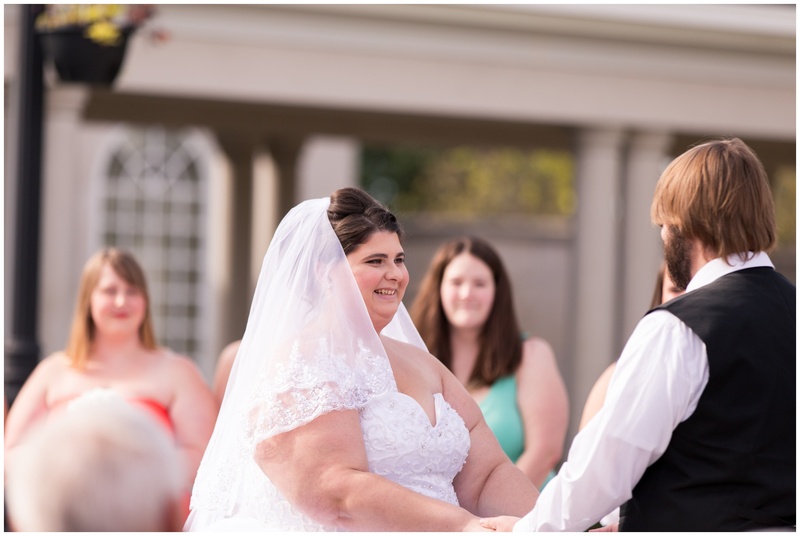 Megan and Zach chose not to see each other until she walked down the aisle, so that moment at the altar was even more special. 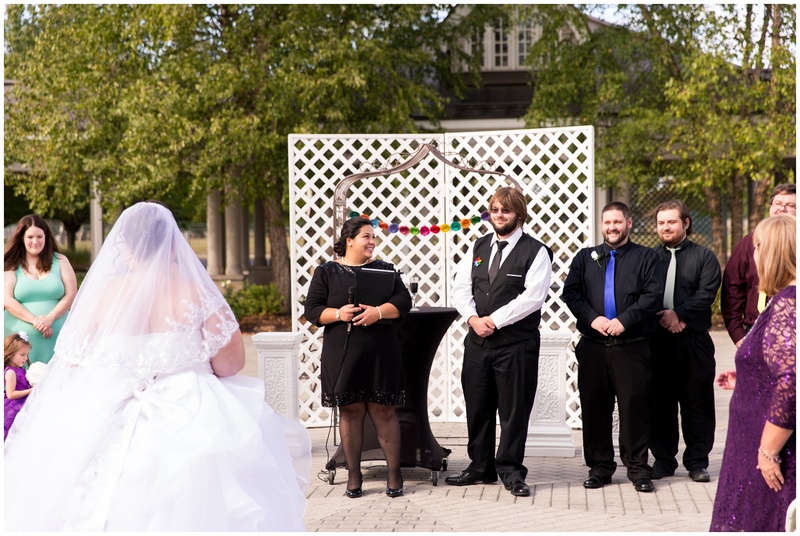 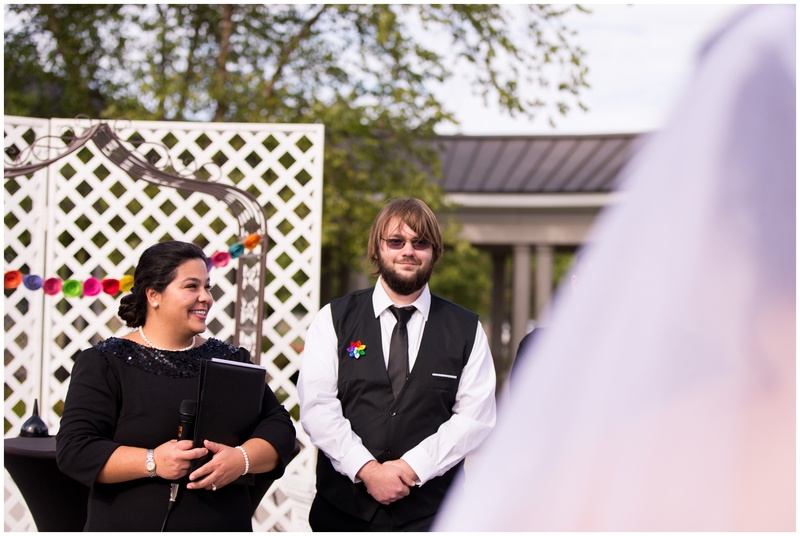 As Megan approached him, the officiant whispered to Zach to turn around to see his bride, and his eyes lit up as Megan took his hands into hers and they vowed to spend the rest of their forever together. 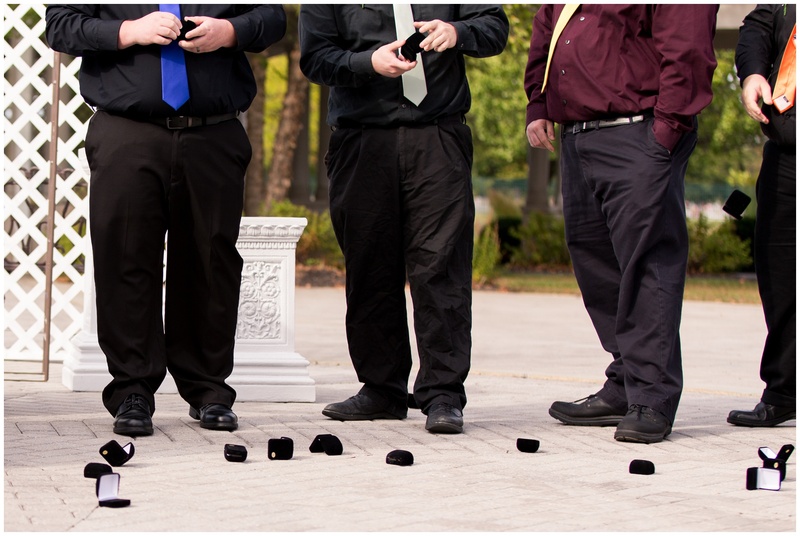 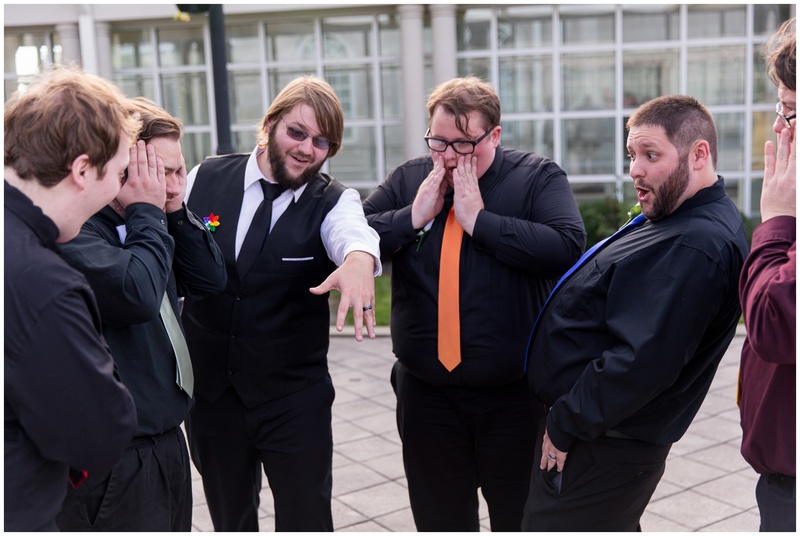 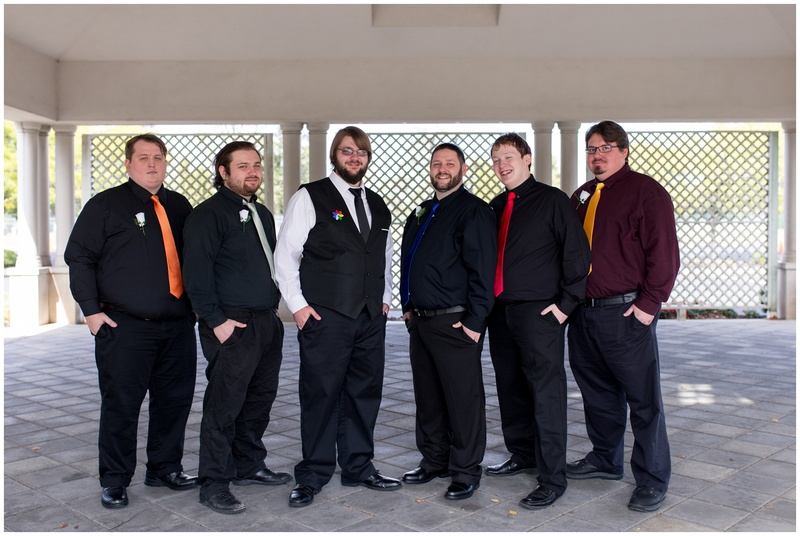 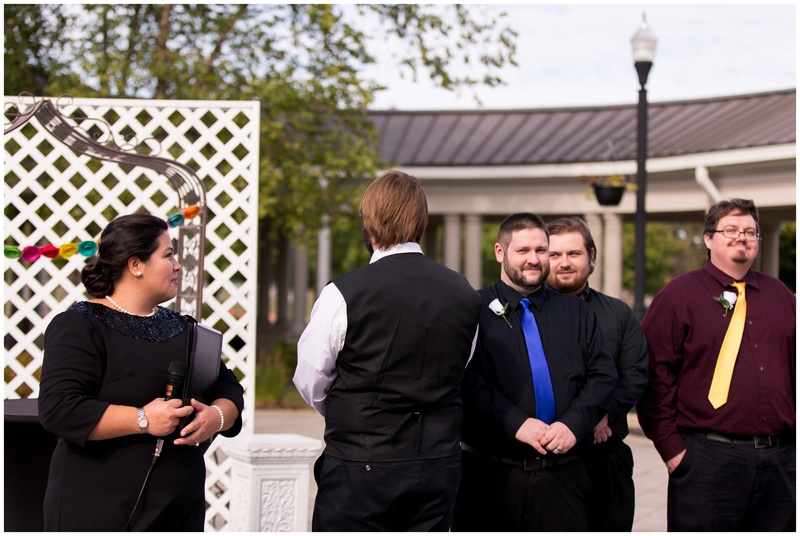 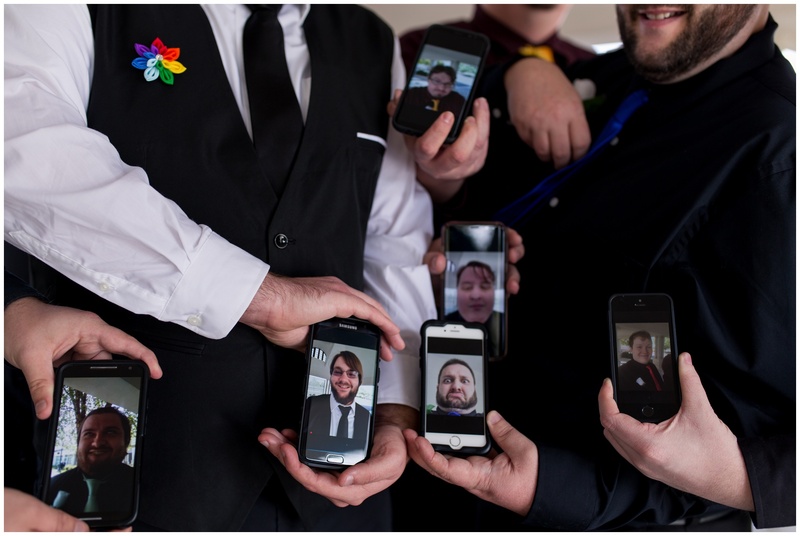 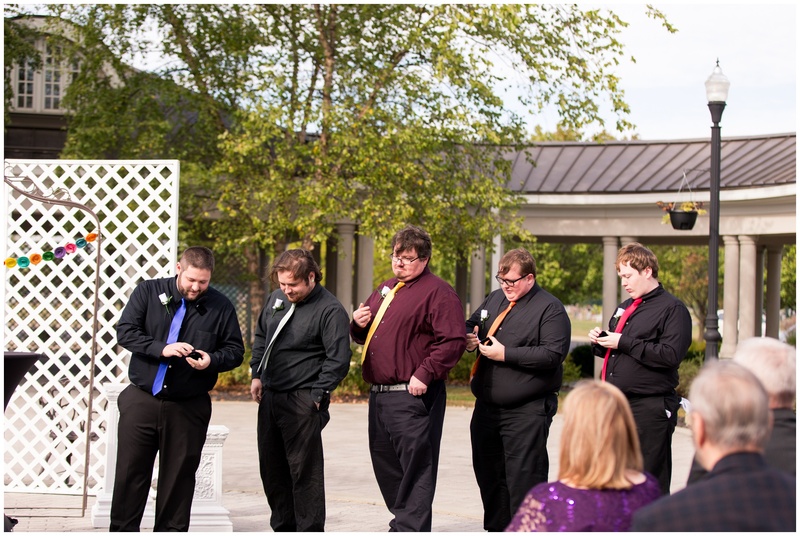 During the wedding ceremony, the couple had planned a joke where the groomsmen had empty ring boxes that they started tossing out as the best man looked for the rings. 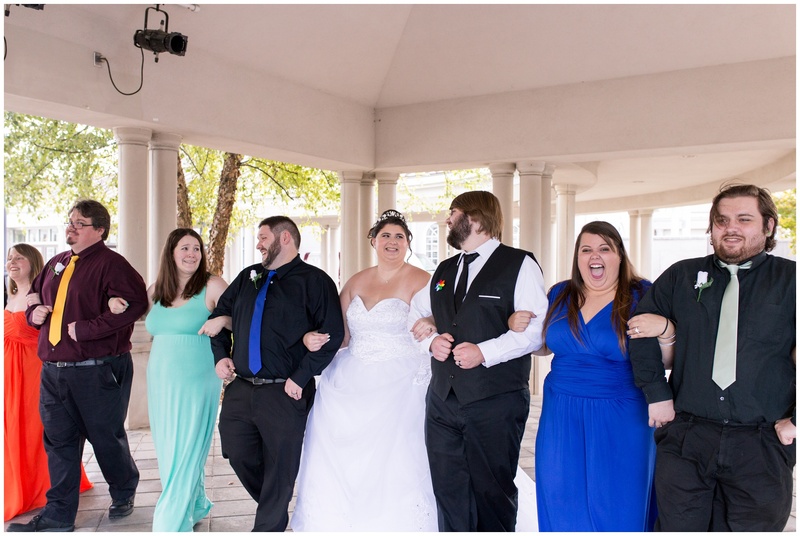 But then they turned the joke on Megan when the best man in fact did not have the ring, but Zach’s dad approached the altar and gave the best man her ring. 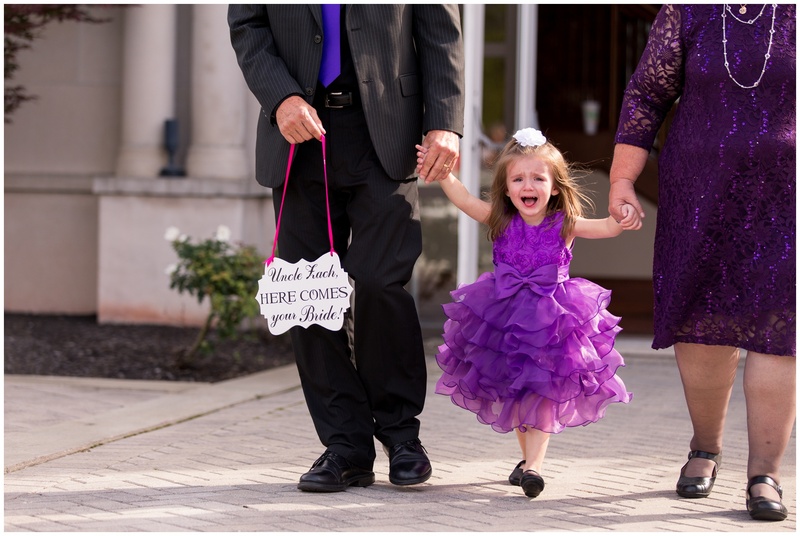 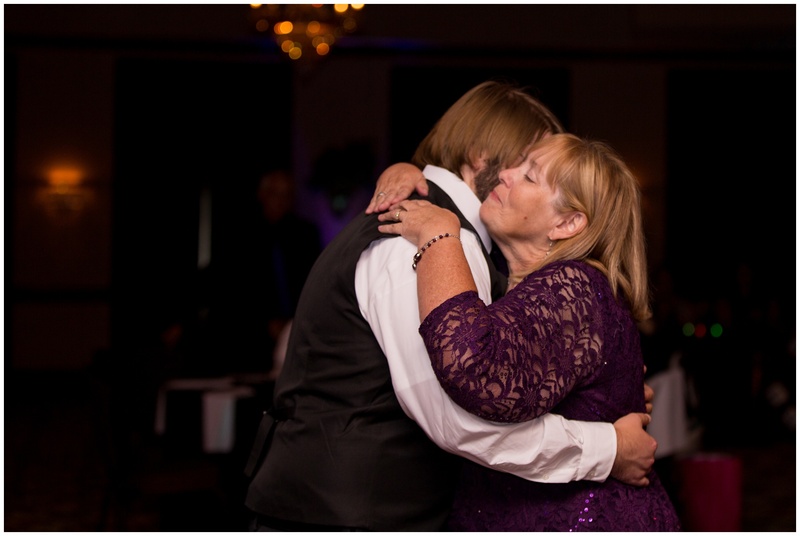 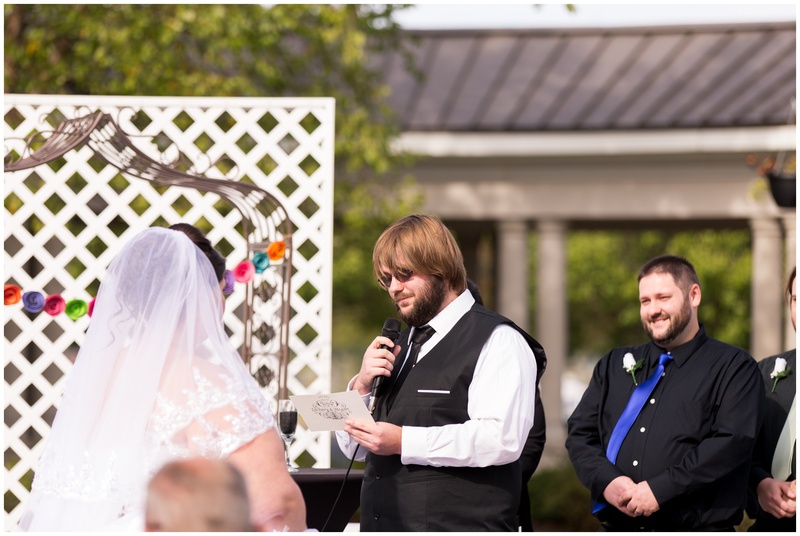 The audience erupted in laughter, and it was probably one of the funniest things I’ve seen during a wedding ceremony. 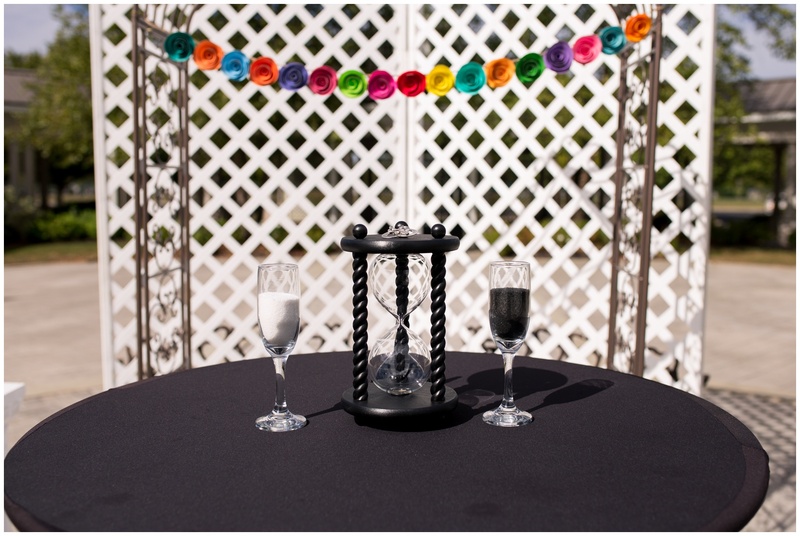 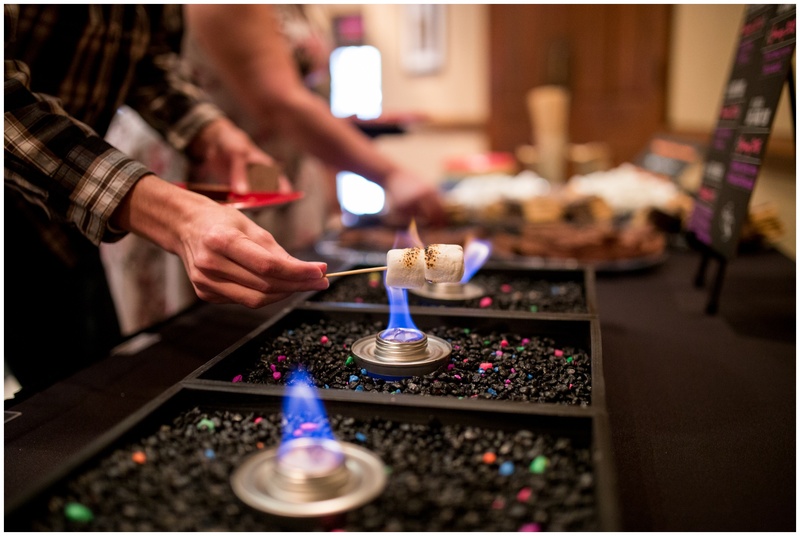 Megan and Zach served a s’mores bar while their guests waited for the reception to begin. 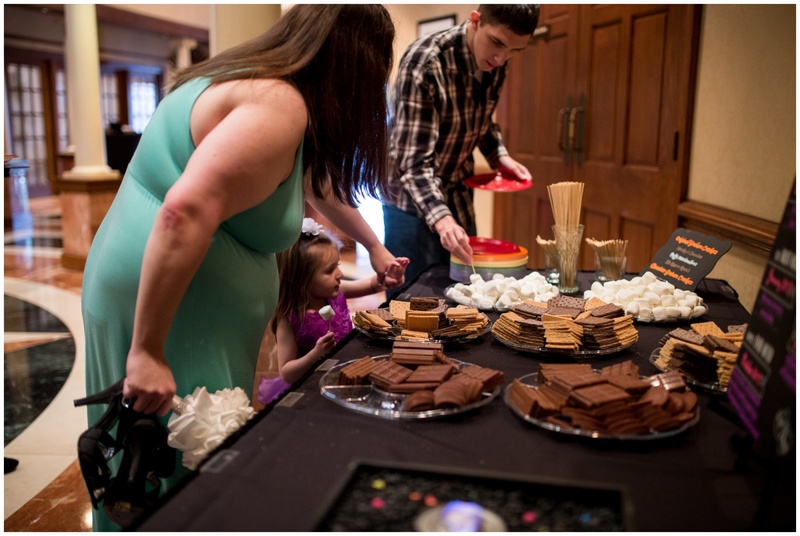 With all the chocolate fixings, guests enjoyed the sweet treat while we captured their portraits around the beautiful Community Life Center property. 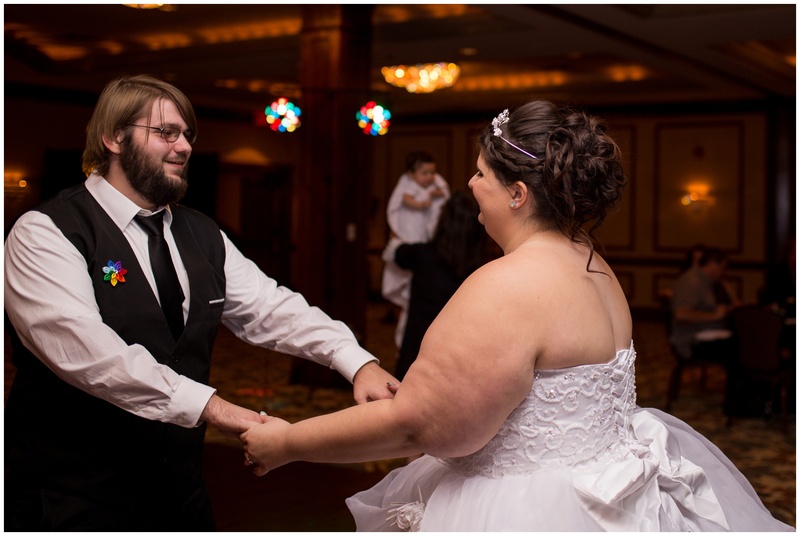 After their big entrance, first dance, and cake cutting, Megan and Zach did their bouquet and garter toss, but it was unlike any I had seen before. 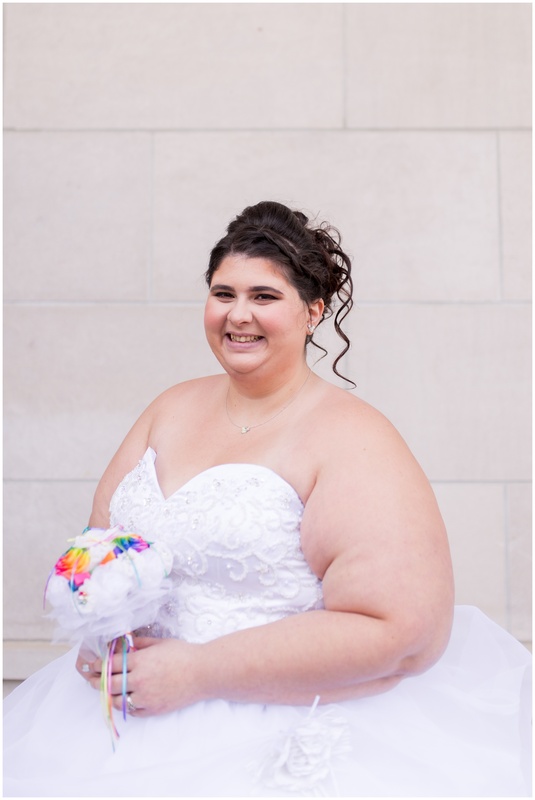 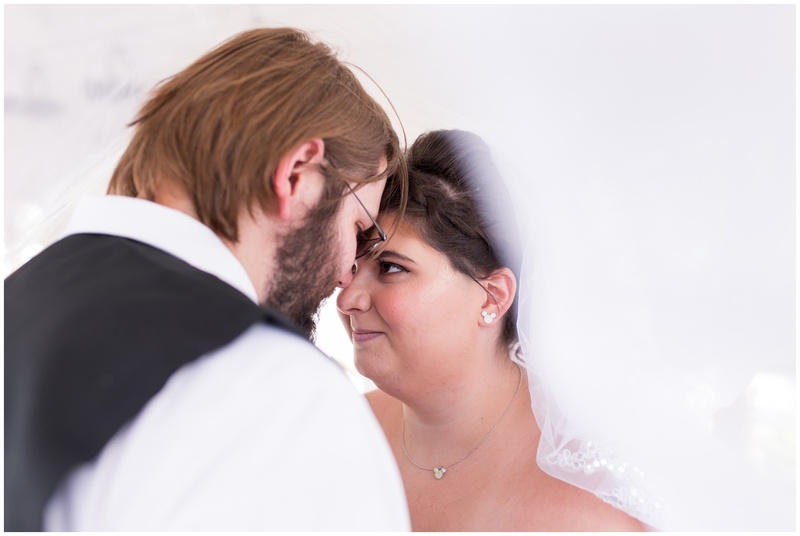 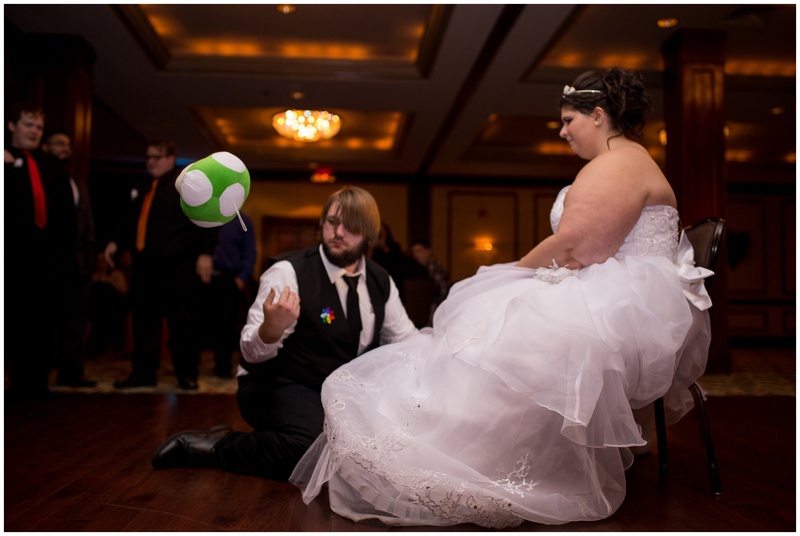 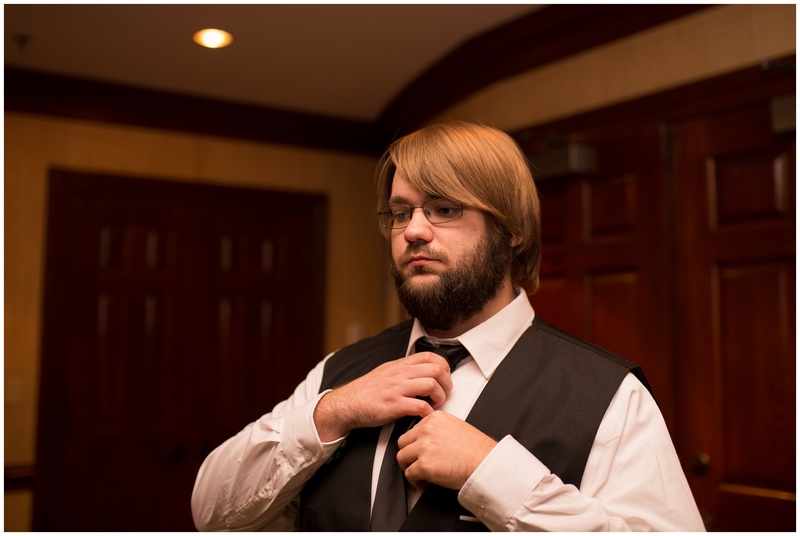 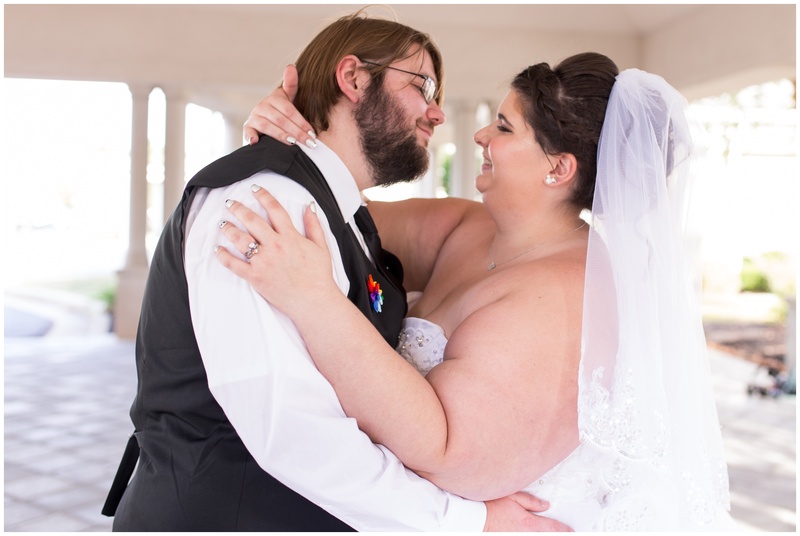 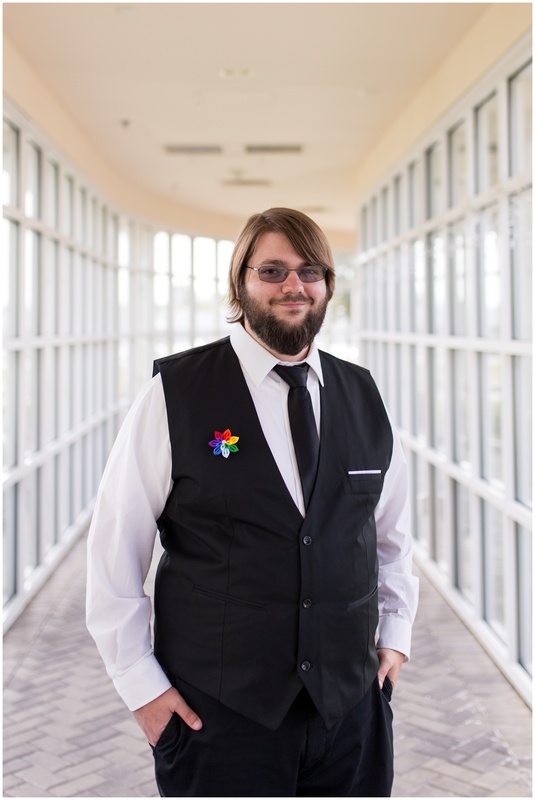 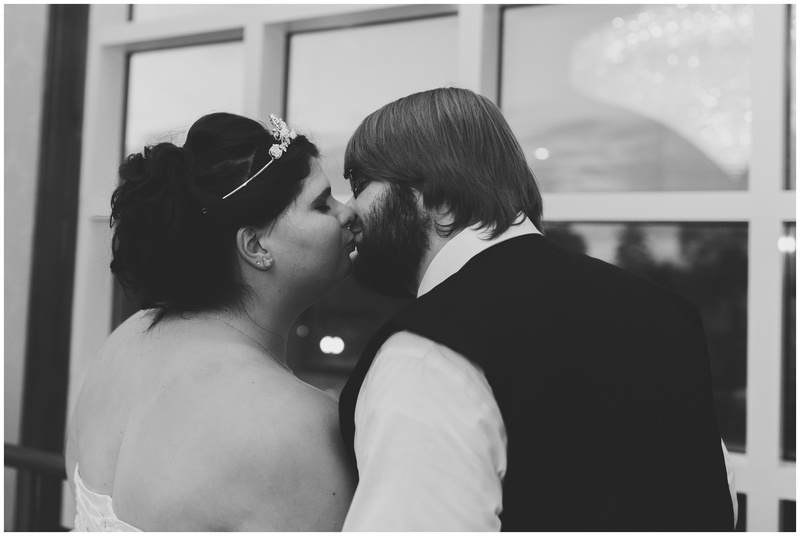 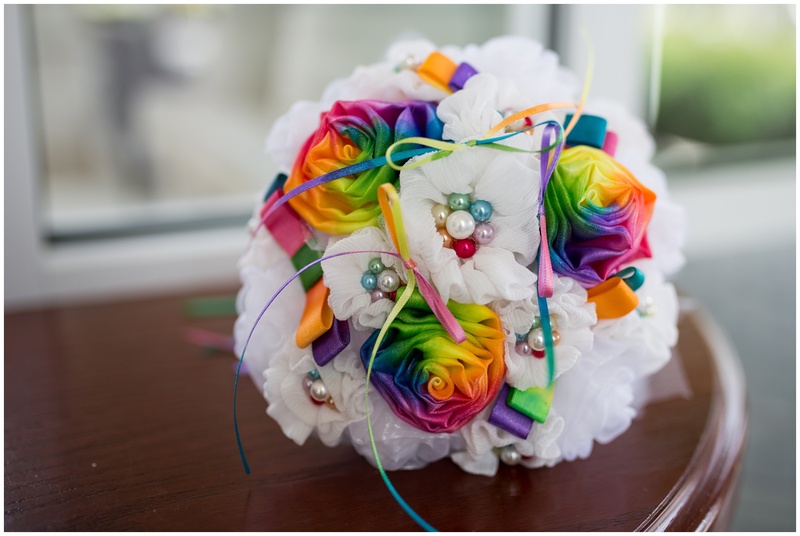 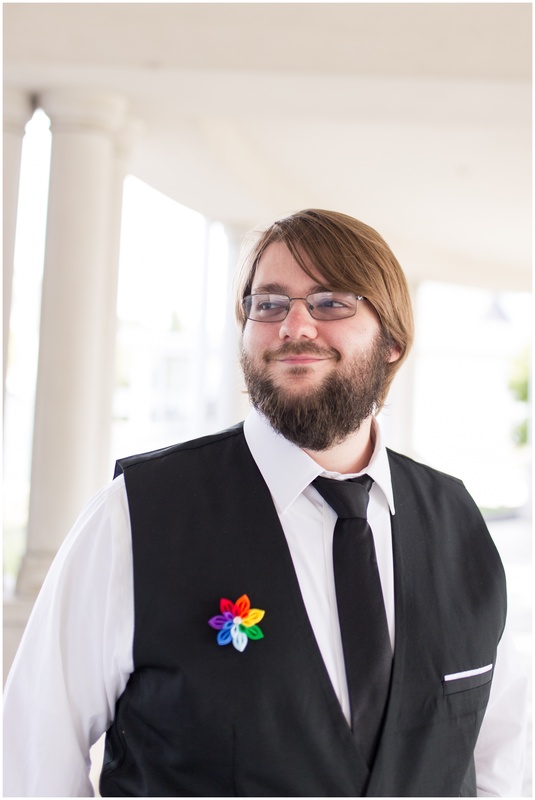 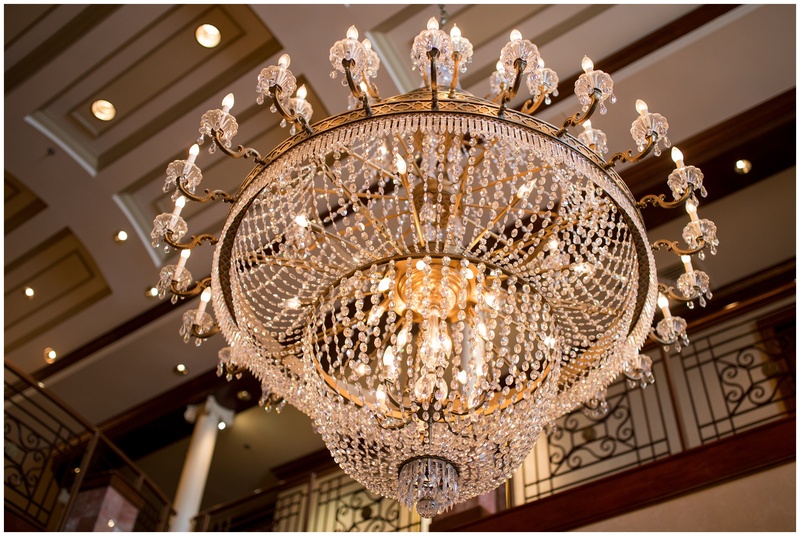 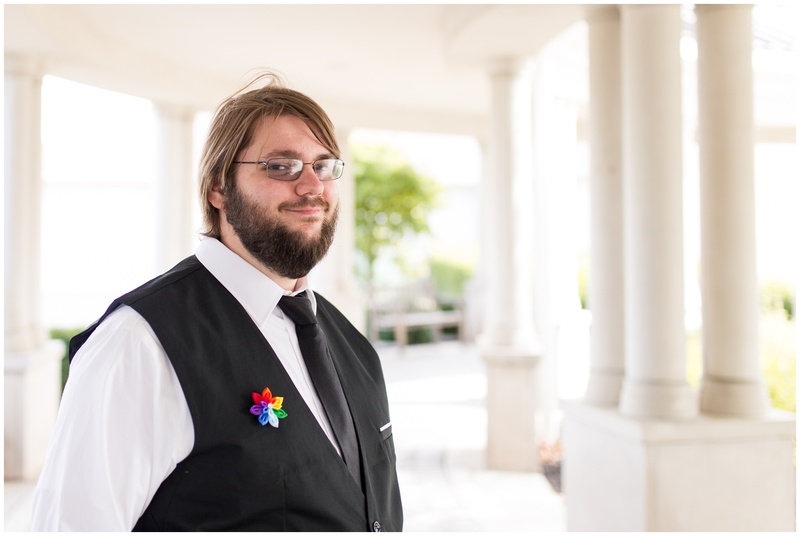 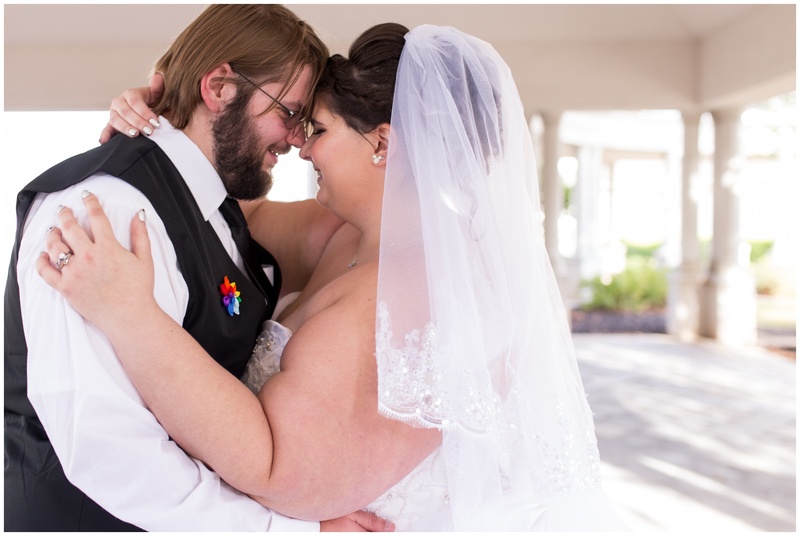 When Zach got down to take off Megan’s garter, there were stuffed mushrooms and other items that he pulled out from under her dress before he finally was able to find the garter – another fun touch to their self-titled nerdy nuptials – which had their guests laughing again. 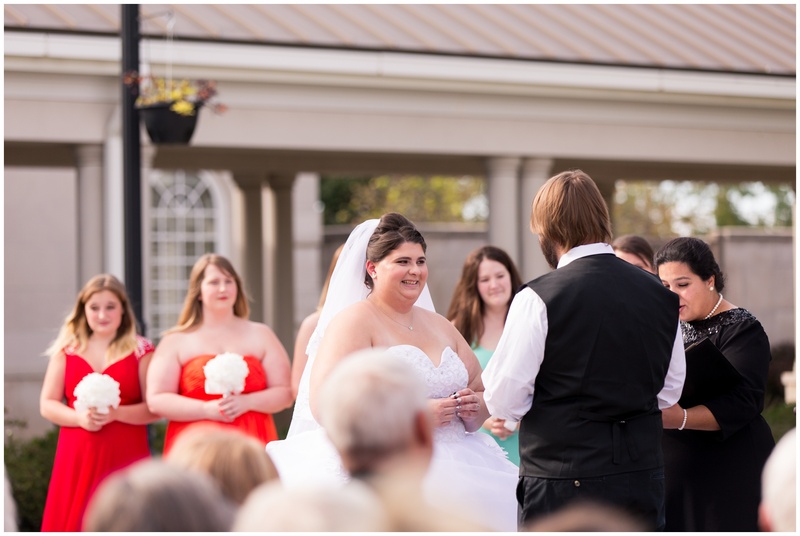 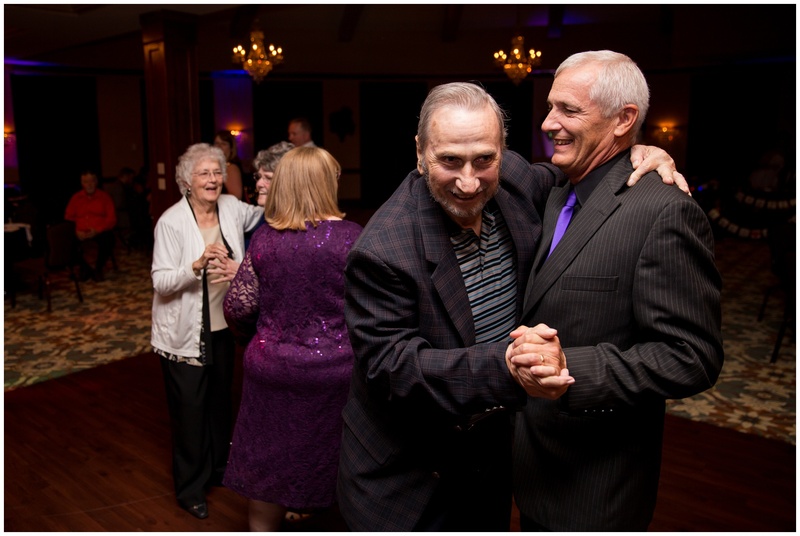 Megan and Zach – thank you for inviting me to be a part of your wedding celebrations. 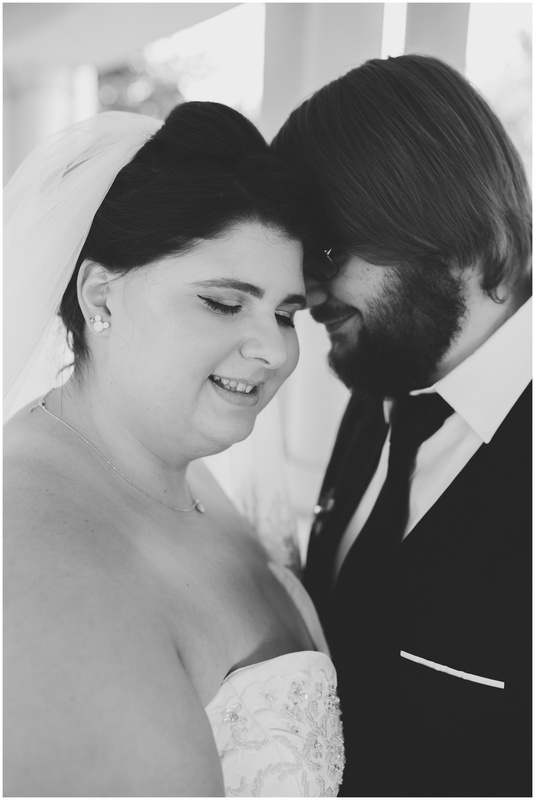 I’m so honored to have been a part of such a beautiful, special day, and it was such a pleasure working with you both. 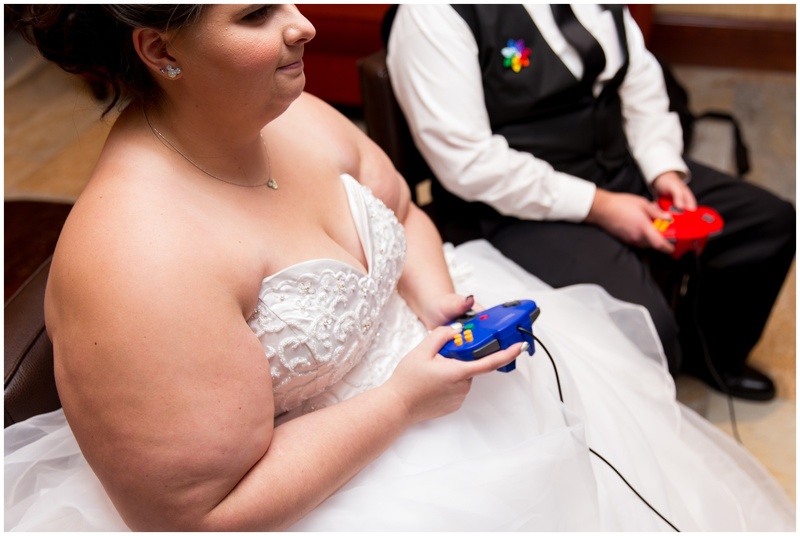 I wish you nothing but years of joyful bliss and leveling up with your Player 2. 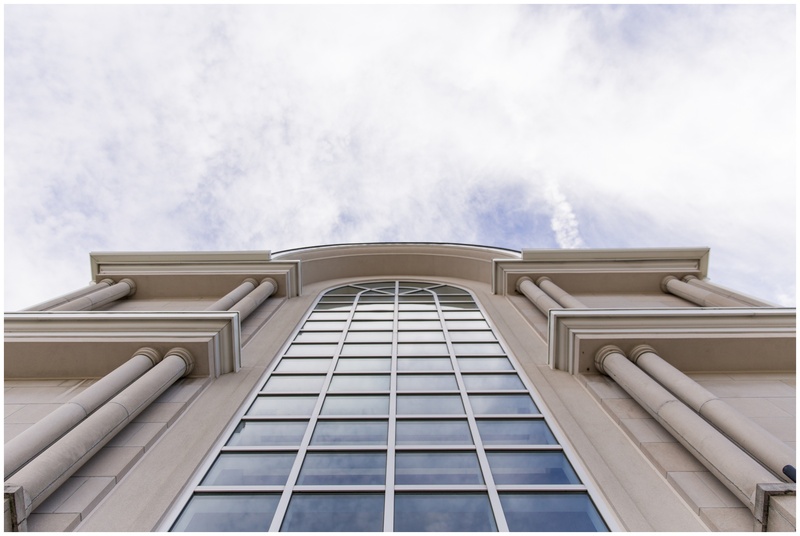 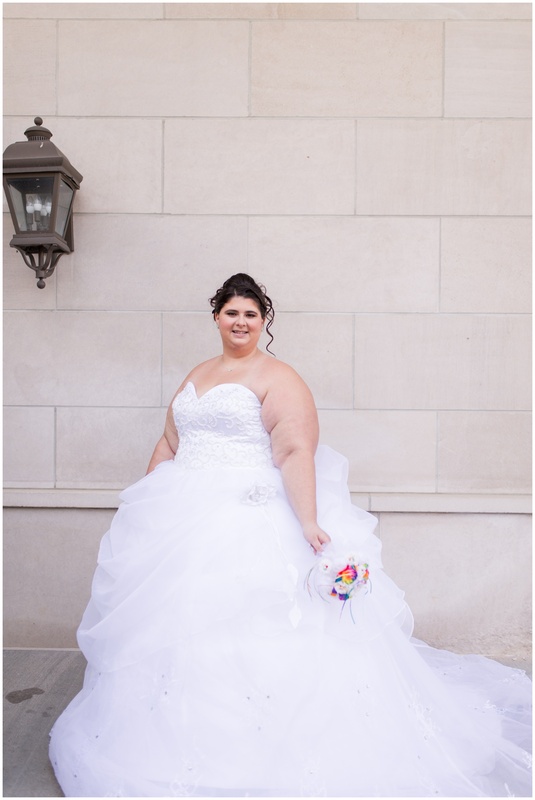 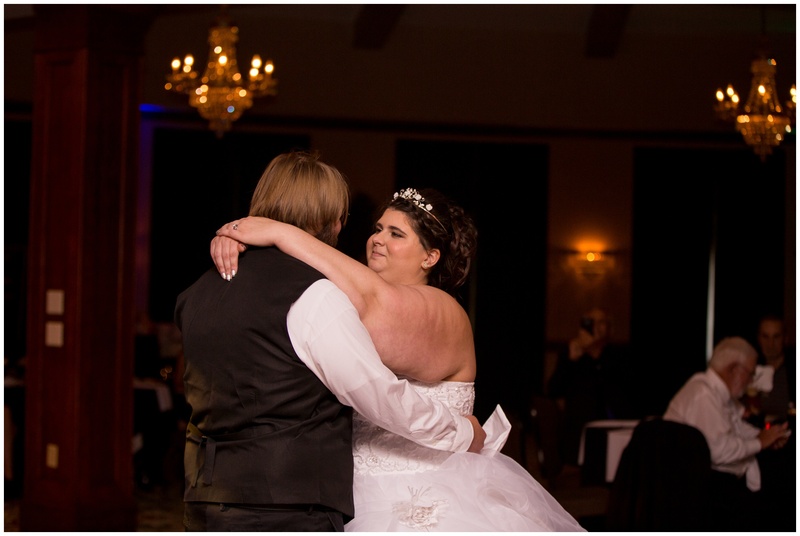 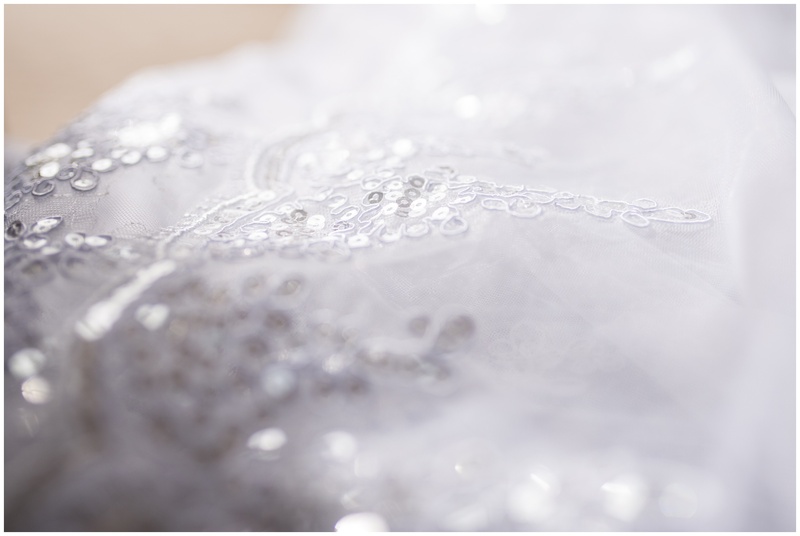 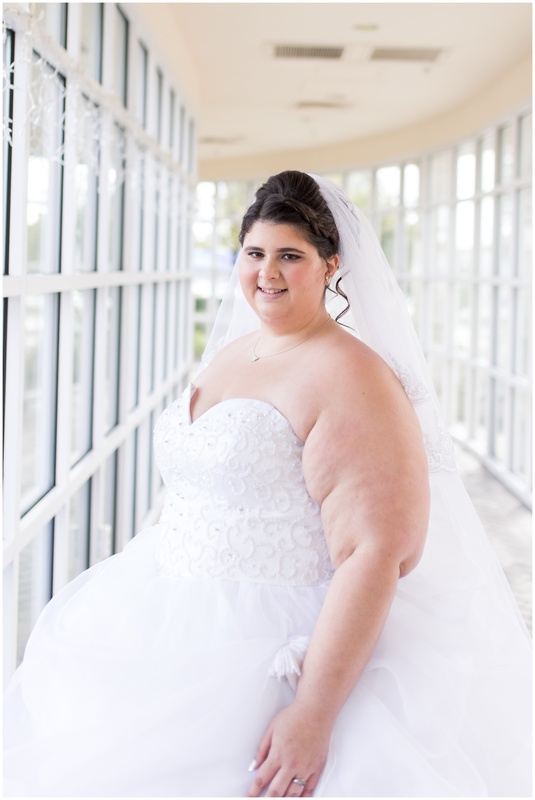 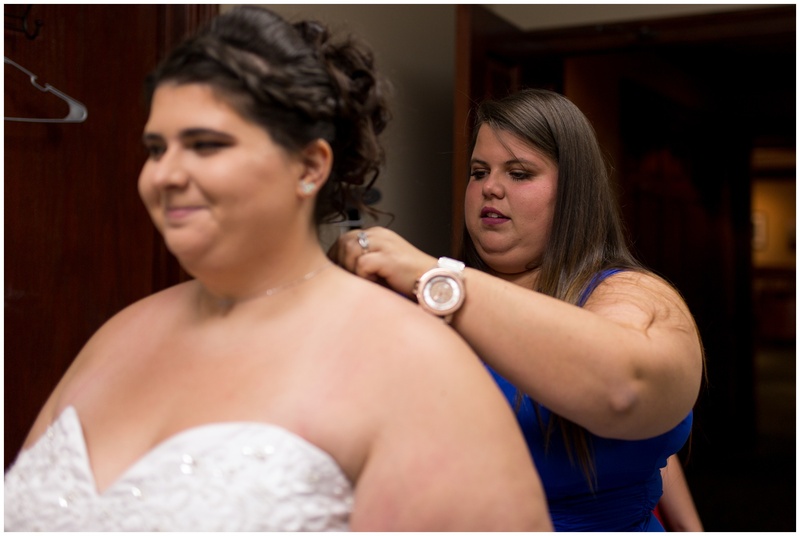 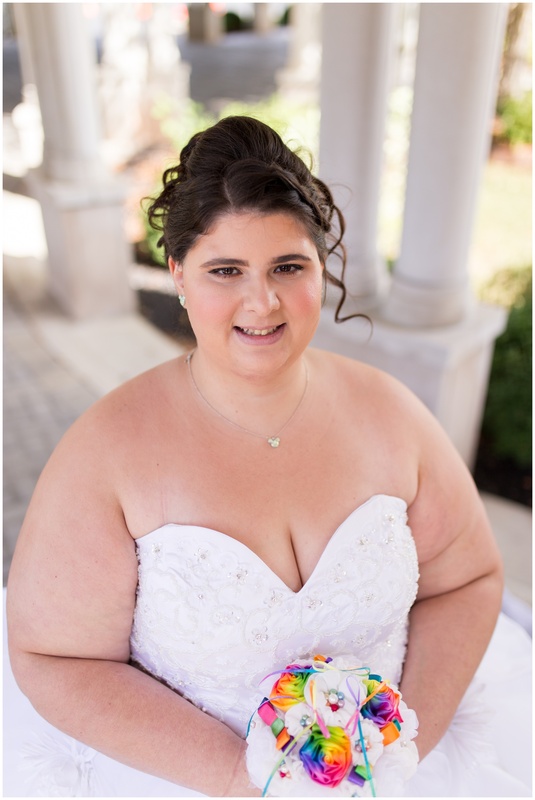 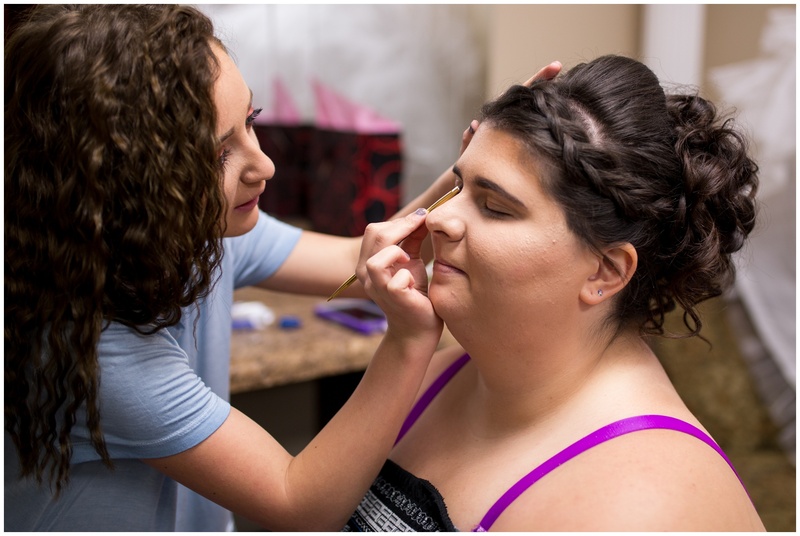 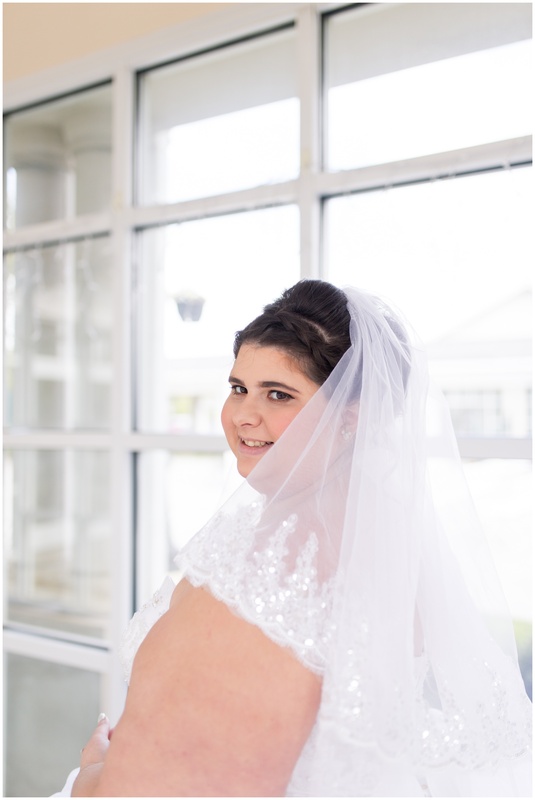 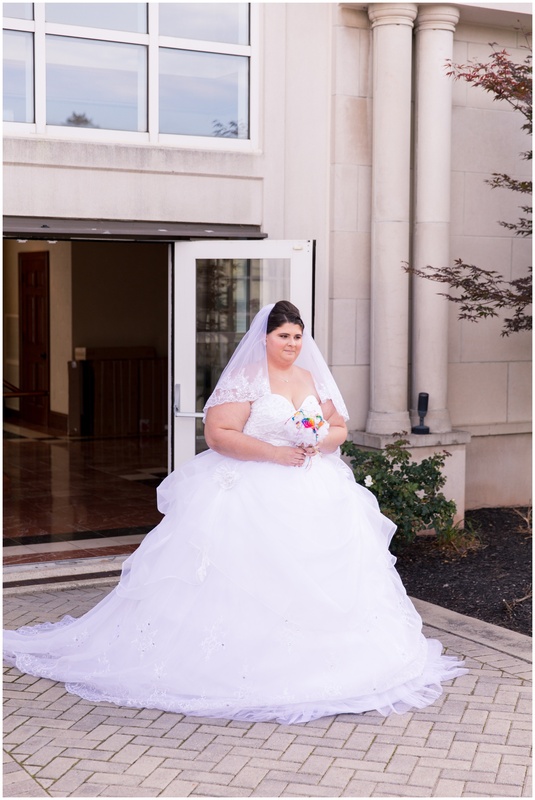 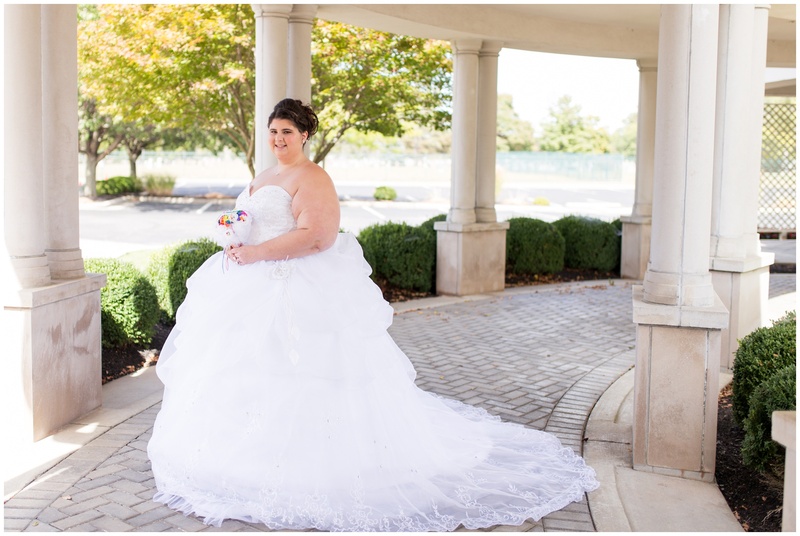 Autumn Howell Photography is a Fort Wayne wedding photographer, serving clients across Indiana, including Kokomo, Noblesville, Indianapolis, and Bloomington. 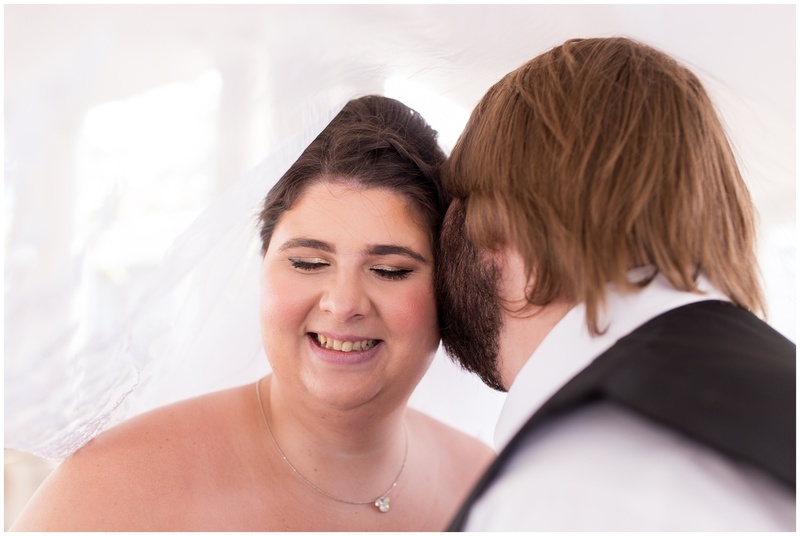 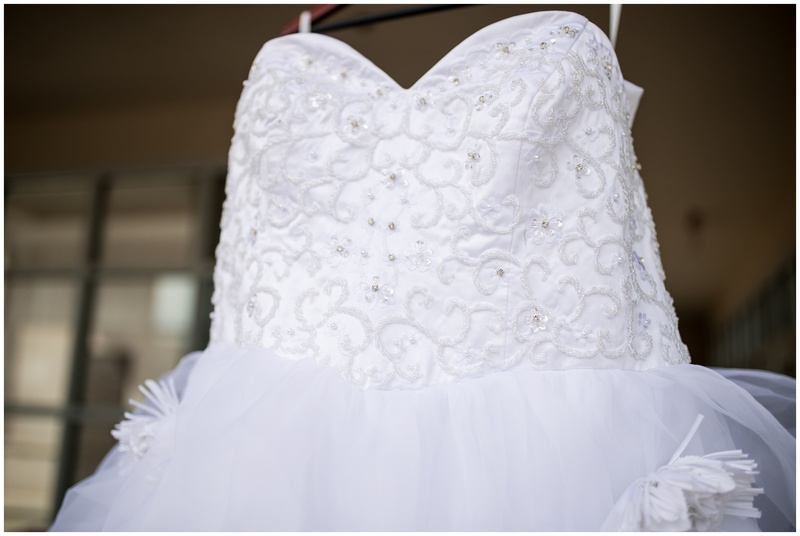 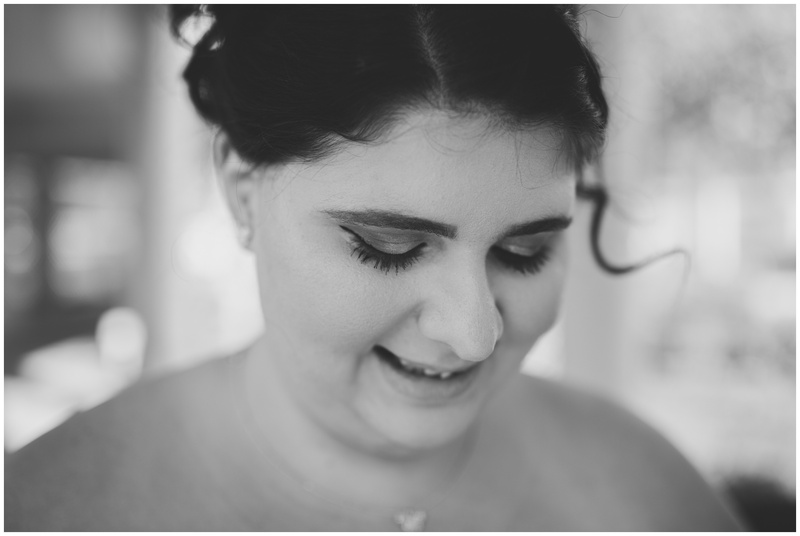 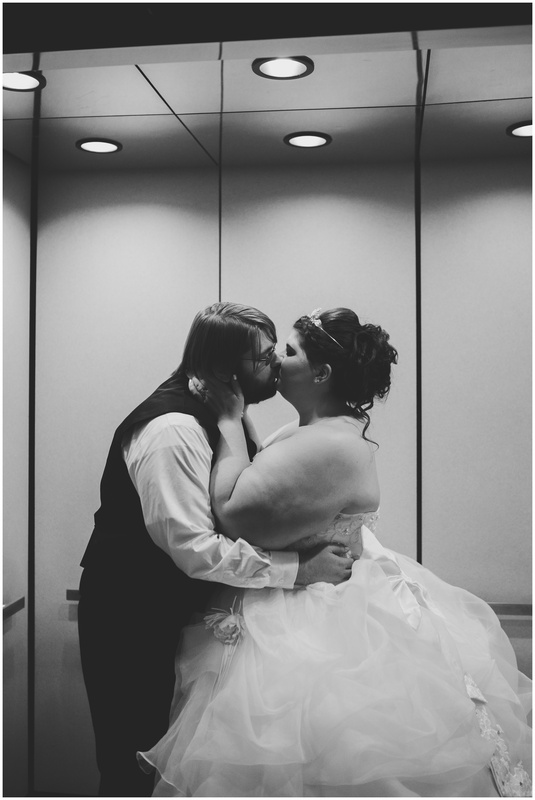 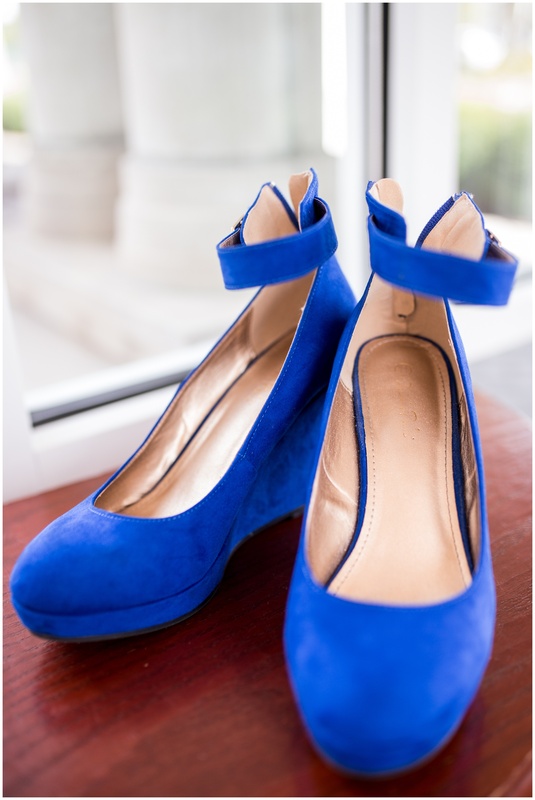 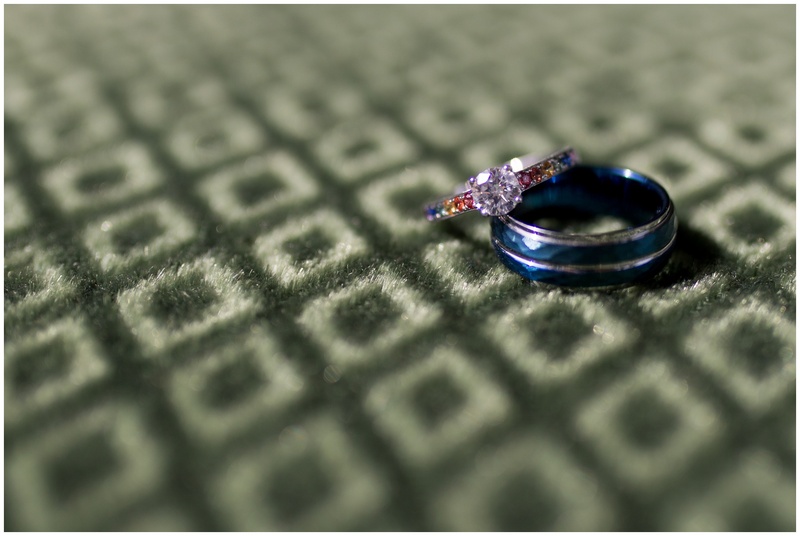 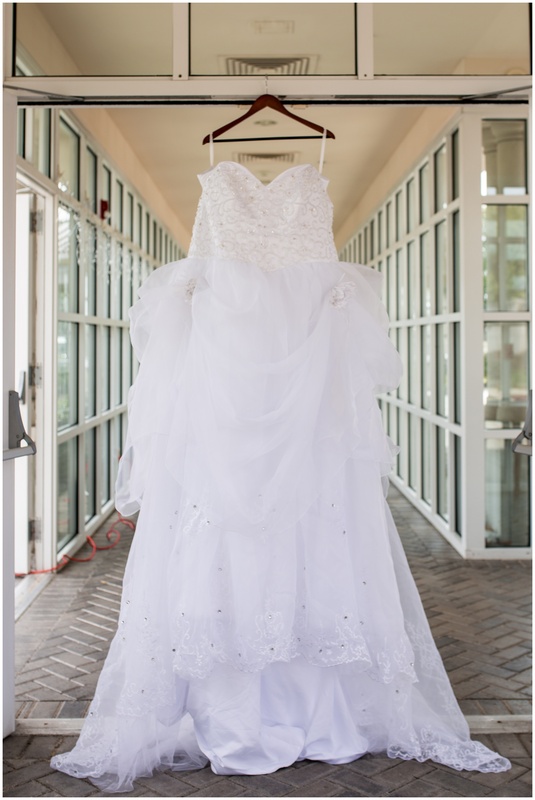 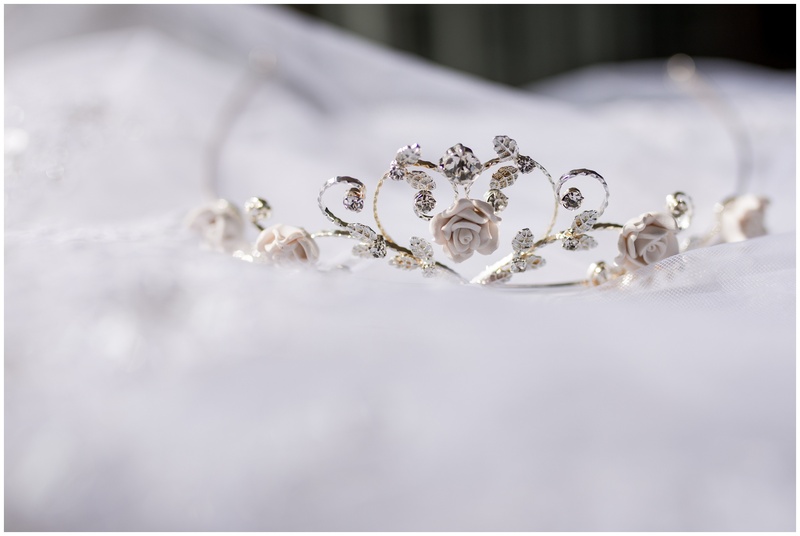 Learn more about booking me as your wedding photographer!